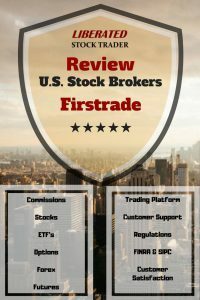 Firstrade In-Depth Review - Great for Traders & Investors Seeking FREE Stock & Options Trades + an Industry Best 700 Commission-Free ETF's. Firstrade - Great for Traders & Investors Seeking FREE ZERO Commissions Trading on Stocks & Options & an Industry Best 700 Commission-Free ETF's. Full MorningStar access and 5-star customer satisfaction mean Firstrade is a great choice for brokerage services. Important Announcement: On August 23, 2018, Firstrade made the extremely bold move to Commission Free Trading. Firstrade was already our 2018 review winner and had amongst the lowest commissions in the industry, now they have officially the lowest in the industry with ZERO, yes ZERO commissions. Previously their commissions per stock trade were below $3.-. Their Options trades were also excellent at only $2.95 + $0.50 per contract, but now its all free stock & options trades. What really stands out though is the unique offering of over 700 commission free Exchange Traded Funds (ETF’S) on offer. That is over twice as many as the next best competitor TD Ameritrade. You also get completely cost-free access to the suite of Morning Star research, only 3 other brokers offer free research of this quality. The Firstrade Trading Platforms Firstrade Navigator, Options Wizards, and Real-time Watchlists hold up well against the competition. And finally a 5-Star Customer Satisfaction Rating rounds of the package, for an excellent Brokerage for mid to long-term investors. Firstrade is the outright winner in the commissions’ round with a $0 flat fee per trade and $0 per options contract. But what also adds to the appeal with Firstrade is the 700+ commission-free Exchange Traded Funds on offer. This is a huge selection, more than the total for all the other brokers reviewed in our Top 10 Brokers Review. You can purchase Mutual Funds for $0 and Bond purchases are on a Net Yield Basis. The only thing you cannot trade with Firstrade is Forex. Finally, the Margin Commissions Percents are higher than with Interactive Brokers or Worden2000 Brokerage. If you are not buying on margin this is not a problem. Firstrade has completely rebuilt its trading platform from scratch, and the improvement is dramatic. Gone are clunky java programs, replaced by a fast HTML 5.0 platform. This platform is future proofed and highly scalable. The user experience is clean, intuitive and easy to learn. 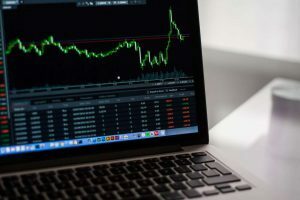 The trading platform has a number of components. 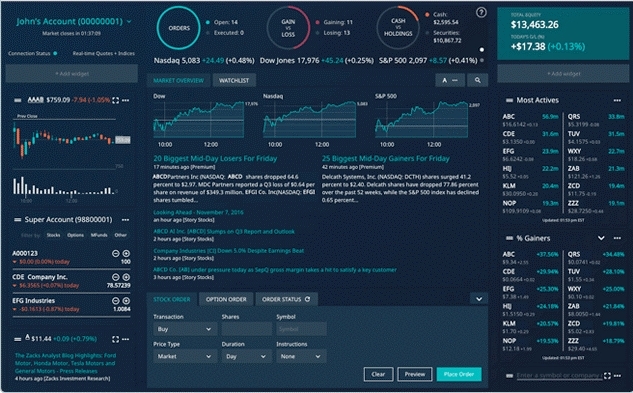 The web-based platform is available for all clients and if you have an account balance over $10,000 you will have complimentary access to Firstrade Navigator a downloadable more powerful trading experience. To be able to find a potential opportunity to trade, you can start with the big picture view of the market and drill down from there. 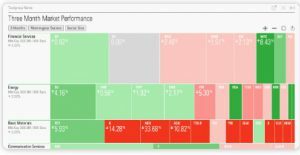 The heatmap is designed for short-term traders who need to see where the price action and volatility is on any given day. Alternatively, you can utilize the sectors and industries tool to evaluate past performance and select a sector to review in more depth. No product set would be complete without the ability to scan and screen for stocks based on the fundamental data. Firstrade attempt at this is pretty good. It does not match the offerings from TradingView or TC2000, but it is adequate for most investors. A new event calendar is also available, which is neatly broken into tabs for Earnings Announcements, Dividends, Ratings Changes, Economic Indicators, IPOs & Splits. 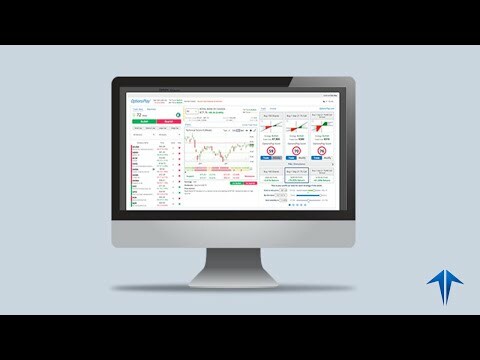 Firstrade put a lot of effort into the Options Trading Platform OptionsPlay. A first-class platform which focuses first on what kind of options strategy you want to implement. You can drill down through industries and sectors and you instantly get a technical analysis for the stock, the bullish or bearish score. You can even sort your watchlist based on the bullish or bearish score. 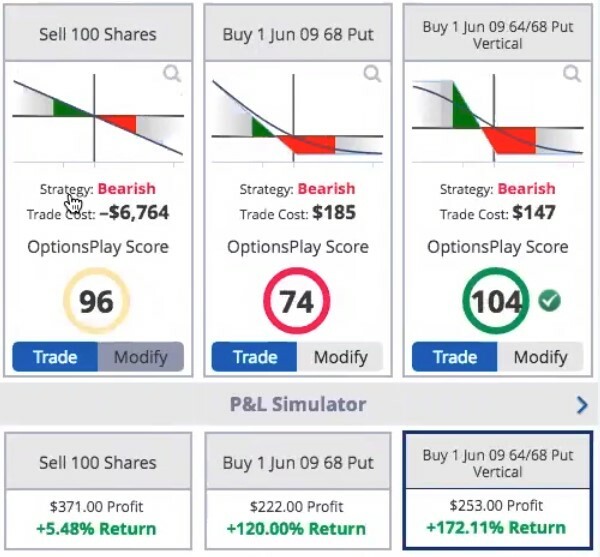 The image to the right shows the OptionsPlay Bullish and Bearish Ratings based on three scenarios based on if you are feeling bullish or bearish about the stock or index. I really like the implementation here, simple and implementable. See how the whole OptionsPlay functionality works in the image below to get an overview of the functionality. Immediate feedback into the 1 month and 6-month trend for the stock. This particular fund is has a rating of 88 for a bullish strategy, but only a 35 rating for a bullish options strategy. The beauty of this is you can compare where you should buy the stock or utilize an options strategy. 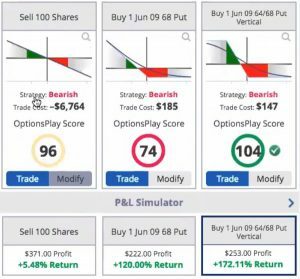 Finally, the Profit & Loss simulator is really good as it enables you to try to predict what your profits would be depending on how much you invest in the strategy. Firstrade Navigator is a very nicely designed and relatively powerful system. It is very customizable and also has a selection of widgets that you can embed into the dashboard. Studies and indicators are included. This is relatively newly developed and I expect more and more functionality to be released in the near term. Firstrade does very well in this round. They provide a full email, chat and telephone coverage and are quick to answer. They have also had zero negative tweets or negative TrustPilot reviews in the last 12 months. Additionally, customers rave about the service which is unusual, this means a 5-star customer satisfaction rating. What I also like is they throw into the mix free access to Zacks Research, Morningstar Research & Ratings, Breifing.com & Benzinga (although not the real-time Benzinga PRO version). These third-party services are quite valuable and considering Firstrade offer very low commissions they also add value through these services. Is the company well established, well funded and well regulated? This is the main object of this round of comparisons. Any U.S. based Broker should be a member of the following institutions. Financial Industry Regulation Authority (FINRA) Membership. 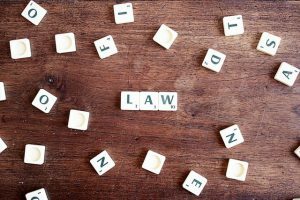 FINRA is a nonprofit organization established to protect investors and ensure that the members are complying with the law and the Securities and Exchange Commission rules. They audit all members regularly. Securities Investor Protection Corporation (SIPC) Membership. The SIPC is there to protect and hopefully recover any money lost if a Brokerage firm fails. Although Broker failure is rare, it can happen and SIPC membership ensures that your account is protected up to $500,000. Firstrade has all the protection required in the U.S.A, they are fully registered in the FINRA Database and have SIPC insurance. Do you want more Stock Broker Reviews? The customer satisfaction score was compiled using the following methodology. The Twitter Accounts of the Brokers was scanned back for the 1 year for any negative feedback from customers. Also, TrustPilot UK and USA were reviewed and any negative comments counted against the broker. These two sources of information were combined to provide the star rating you see below. Liberated Stock Trader has partnerships with most of the service providers in this review. This means if you find the review useful and purchase any of the services mentioned we will receive a small payment which goes towards funding the research and work we do. 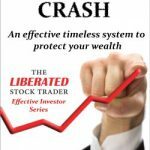 As a thank you for using our reviews and purchasing any of the services mentioned we would like to offer you a special bonus of the highly rated Liberated Stock Trader "How to Avoid the Next Stock Market Crash" eBook and Video Course worth $29.-. Simply contact us specifying which service you signed up for and we will send you your gift. Over 2000 data points were collected during this review. Brokers change services, terms, and commissions on a regular basis. 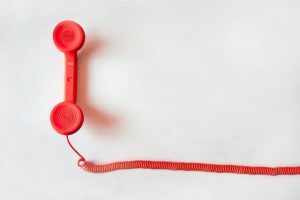 If you represent a Brokerage House or are a client and you spot an inaccuracy, please leave a comment or contact us here and we will endeavor to correct it.